In our relationship, we tend to think and talk a lot about whether we are doing useful things with our lives. It's important to us to believe that we are, but it can sometimes be hard to know. We are both lucky enough to work in professions where the fundamental goal is to help others. But, like most people, we have our days where fundamental goals feel a little abstract - days of bureaucratic circling or perverse consequences or feelings of flat out frustration and ineffectuality. Sometimes, it's hard to answer that gnawing internal question: "what have I contributed to the world today?" 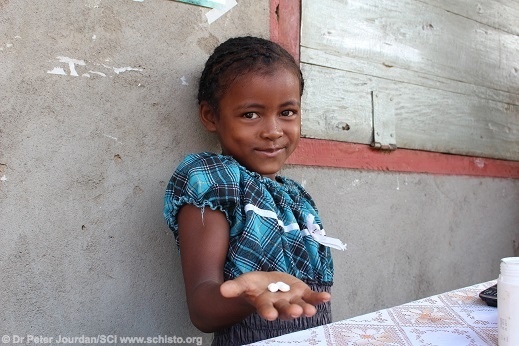 A girl in Madagascar shows the deworming tablets provided to her by the Schistosomiasis Control Initiative, one of the most effective charities in the world. Recently, we've found a way to answer that question with a little more confidence, a little less sheepishness, and significantly reduced reliance on the worthiness of our intentions. We took a pledge to donate at least ten per cent of our incomes, for the rest of our lives, to the world's most effective charities. To do this, we became members of Giving What We Can, a charity that helps us find the most effective places to donate, and keeps us on track with our pledge. They're part of a movement that's about making the world a better place as effectively as possible. The conceptual rigour and empirical evidence that underpins the movement is so important to us precisely because it allows us to know, for once, that we are doing something 'good'. By giving to charities that have proven to be effective, we get more moral certainty in our lives. Even on the difficult days, and in a hopelessly complex world - and holding some doubts about the effectiveness and efficiency of some organizations that frequently ask for donations - we know that we have helped a small number of people that are in real need. We know that the welfare benefits of this transfer to the ultimate recipient will greatly outweigh any possible welfare cost to us. Because of the evidence-based approach that Giving What We Can supports, we aren't worried that the money was squandered or used for things that don't matter. Knowing these things simply makes us happier. There are, of course, debates about whether doing something for others to make yourself happy counts as altruism. We'll let you decide. 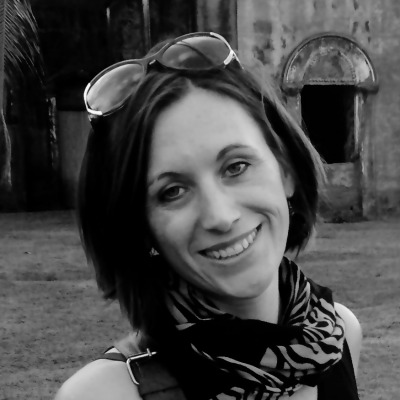 It's certainly true that what we are doing doesn't feel like a big sacrifice: our giving has only the most marginal impact on our material standard of living - which (as for the vast majority of us lucky enough to live in the developed world) remains among the highest of anyone in human history. Our advice? Don't ask why you should join Giving What You Can. Listen to this interview with Giving What We Can founder Toby Ord here, or one of these talks by moral philosopher Peter Singer here and here. Read a bit more about it. And then see if you can honestly think of a good reason why you shouldn't join. It's a great way to be sure you are making a positive difference in the lives of others--and it will probably make you happier too.